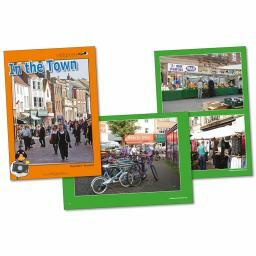 We all spend time in towns, whether we live there, go there to shop, or for leisure purposes. 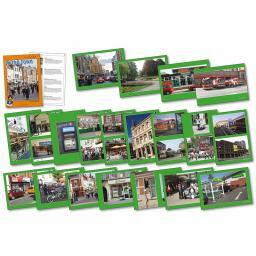 This photopack enables your pupils to see all the sights of a typical town centre. Amongst the 20 photographs are streets congested with traffic, pedestrianised shopping areas, market stalls, car parks, the bus station, road markings, road signs, shops, restaurants, banks, the library and cinema.